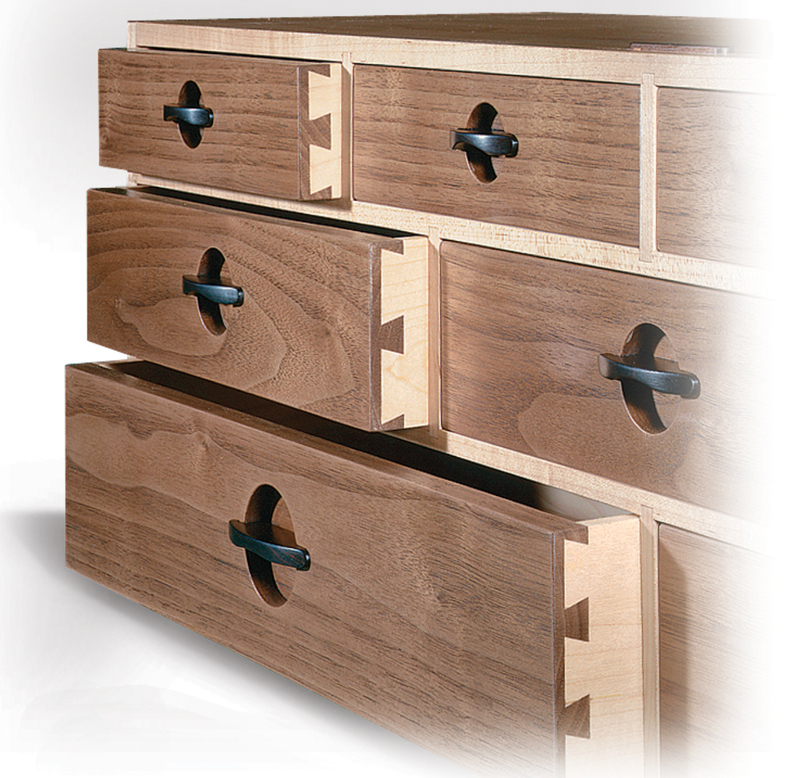 Perhaps the most common use of the half-blind dovetail joint is drawer box construction. 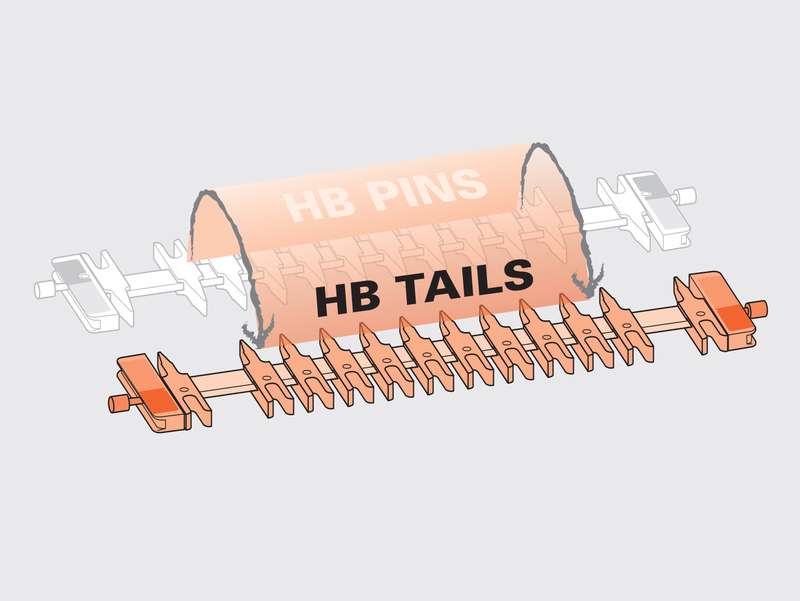 The half-blind joint shows the pins and tails on only one side of the joint while remaining completely invisible on the other. 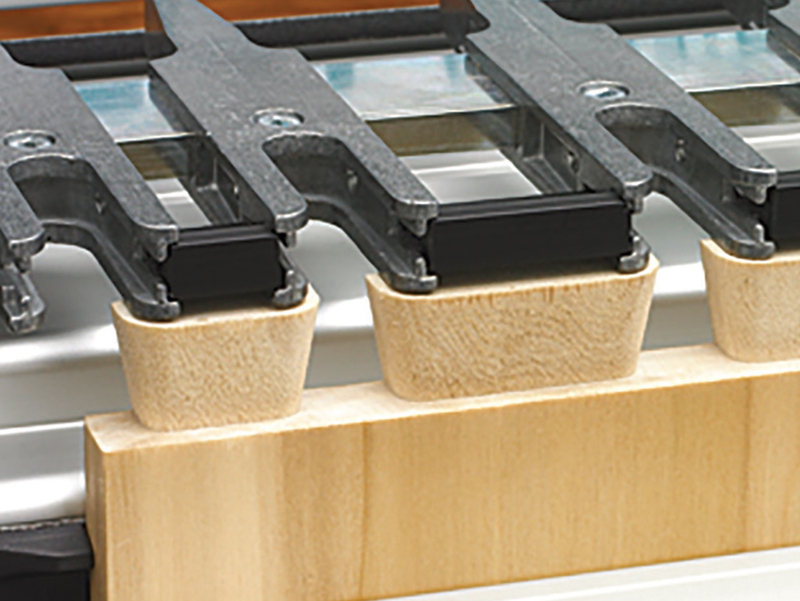 Joining drawer sides to drawer fronts using the half-blind joint leaves the front of the drawer without visible joinery while providing great interlocking strength opposing the stresses constantly applied to the drawer when opening and closing. 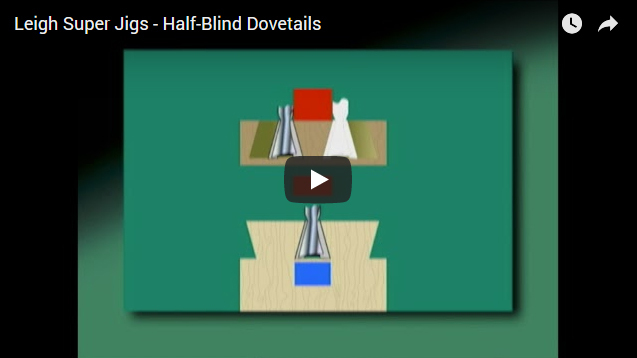 The half-blind joint can be made with flush sides, rabbeted sides or in an asymmetric configuration. 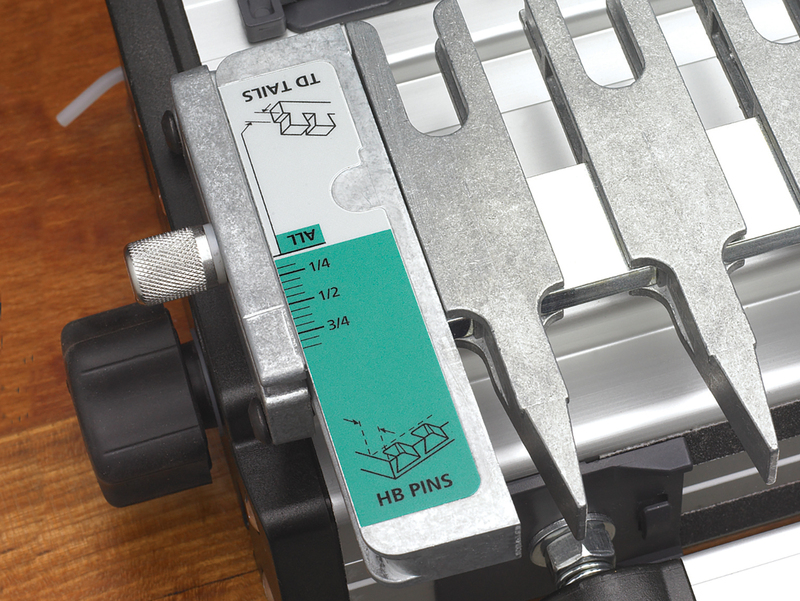 1 With the finger assembly in the half-blind pin mode, set the pin scale to the thickness of your drawer side (tailboard). The readable scale faces you and is colour coded green. 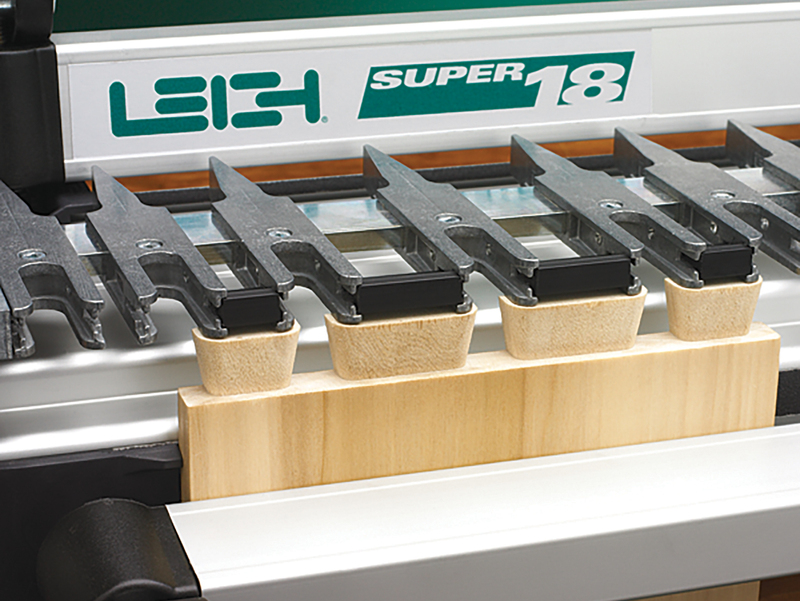 2 Use the included Leigh e-Bush template guidebush set at the #10 position and the included #120-8 dovetail bit. 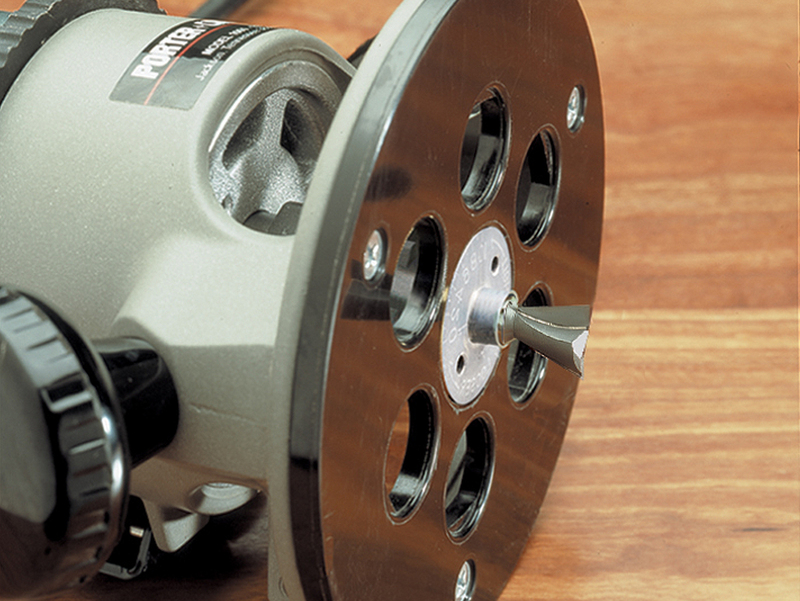 Or use one of five available half-blind bits. 3 Mount the door front on the top of the jig, under the finger assembly and against the side stop. Now rout the tail sockets leaving the pins exposed. 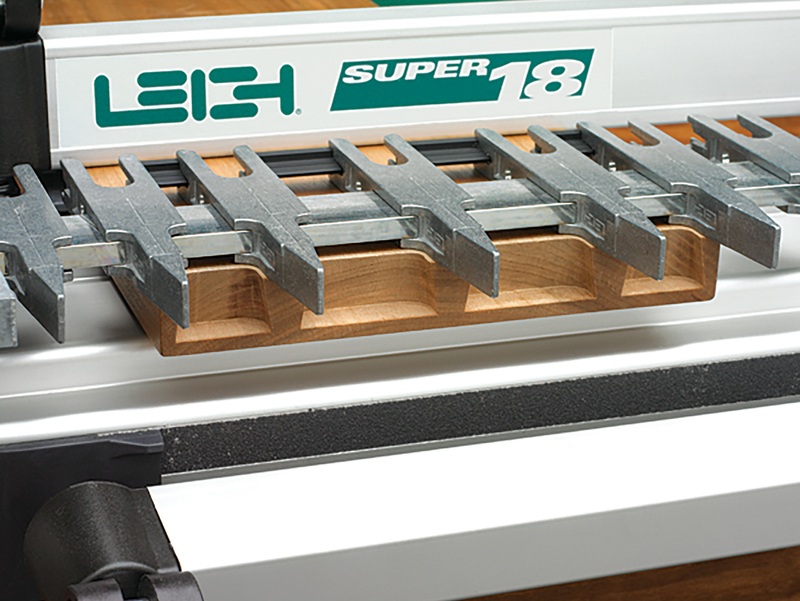 4 After routing all drawer fronts, simply rotate the finger assembly toward you to access the half-blind tail mode (drawer side). 5 Again, set the scales to the thickness of your drawer side. 6 If you have wider tails, insert the provided bridge piece material. 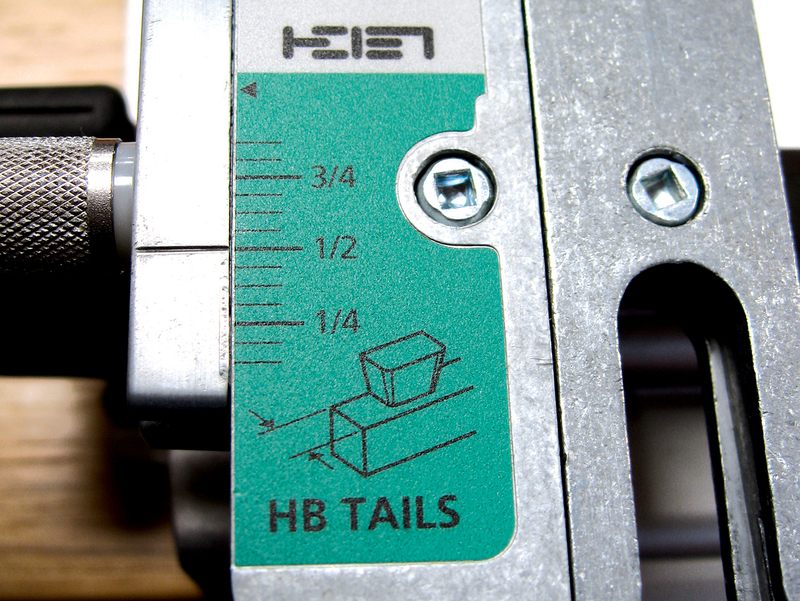 Bridge pieces ensure precise routing on the backside of the tail and guarantee a perfect fit with the tail socket resulting in maximum glue surface area in the joint. 7 Now rout all the tails on all drawer sides. Draws held every 2 months!